A tell-tale sign of red thread lawn disease is visible red threads on the lawn. A fungus causes them, and they populate on contaminated blades of grass. These threads can grow an inch past the blade of grass. 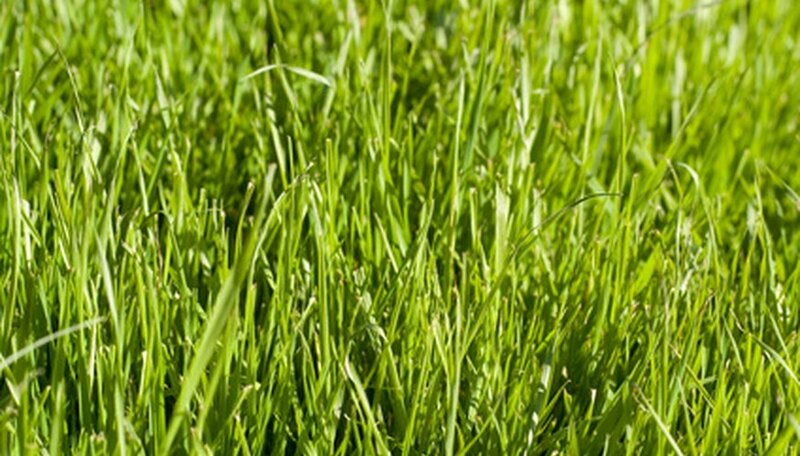 Red thread lawn disease does not always destroy the grass, but destruction is a possible consequence if left untreated. Red thread lawn occurs most often during spring and autumn. It’s imperative to preserve sufficient soil fertility. Fertilization rates depend on the kind of grass being grown, consistency of the soil and the precise ratio suggested for the area. If the lawn previously had red thread, try to preserve a soil pH of about 6.5 to 7.0. Local home and garden stores typically provide a soil-testing service. Home pH kits are also available. Avoid overwatering and watering the lawn in the evening and/or late afternoon. Also ensure that the topsoil had a means for proper drainage by resolving areas where water pooling is noticed. Consider planting trees or bushes to give shade, which will help dew and other dampness in the grass to progressively disperse. A thatch is a sheet of active and lifeless untreated growth between the blades of grass and the soil. It’s crucial not to permit the thatch levels to build up. Use resilient mixtures such as Kentucky bluegrass (Ascot, Dawn, Trenton, Classic) or perpetual ryegrass (Lynx, Shining Star, Passport, Lowgrow). A spring tine rake is also useful to remove sheets of thatch that can otherwise smother the living grass. If red thread lawn disease is very advanced, fungicide treatments are needed. Spring or fall fungicide application is recommended. For best results, it’s also important to use a fungicide that includes the component propiconazole. To prevent the spread of red thread lawn disease to other parts of the yard, try mowing the contaminated area independently from the rest of the grass. Burn the trimmings to prevent the spread of the fungus. Although red thread lawn disease can be an annoyance, a person equipped with the knowledge of prevention and eradication can effectively manage it.